When looking for home builders Boone NC, it is advised that you take some time and research potential contractors to ensure that you are hiring a contractor that is reliable, licensed, bonded and insured. Below we’ve outlined some helpful tips to help you find the right contractor for your job. When it comes to taking on a large project, it is recommended to get multiple bids. Home building is no exception. Most experts recommended that homeowners get a minimum of three bids from various contractors to ensure that you’ve done your proper homework. Spend time researching out various contractors, and request for bids from different sized companies. Research small, medium and large construction firms to ensure that you not only are hiring a reputable contractor but that you are also going to get the best deal. Friends, family members, and neighbors are great resources, and can give recommendations on what contractors you should contact for bids. When requesting bids from contractors, also consider the timeline on how long it takes to get the estimate back, and if they deliver on time, before the due date or are late. The timeliness of returning bids could be a good indicator of their overall work ethic as well. You want to find a contractor that can stick to their word about completion dates, and overall deadlines. There are a multitude of things to consider when hiring a contractor, especially when you are about to embark on a large project. Here are a few questions to ask to help you find a contractor that will work best with you and your project. · Does your contractor have a physical office? · Is the company insured, and the coverage adequate? · Does the company provide sufficient details for the project being performed? · What is the contractor’s record on complaint resolution? The best way to prevent yourself from having a bad experience when hiring a contractor is to know the warning signs. When taking a proactive approach to vetting out and hiring a contractor, your chances of having a negative experience decrease. Here are three tips to help you spot problematic contractors and scams that you should avoid. · Avoid door-to-door solicitors and those who only accept cash payments, or pressure you to make quick decisions. · Verify the business is licensed to operate in your area. Avoid contractors that do not have a physical address, or will only provide you with a phone number for contact. · Ask for references and check them. If possible, talk to previous customers and learn about their experience. Avoid contractors that are hesitant to provide references. Fairbanks Home Builders has been providing quality contractor services as the premier home builder Boone NC. 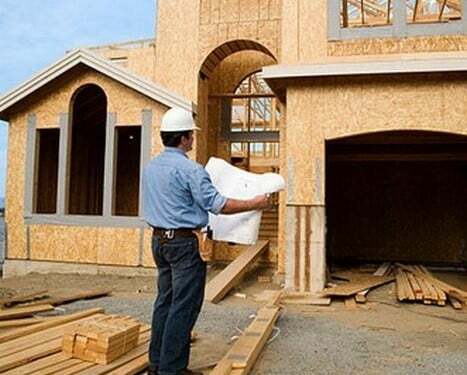 If you are looking for a contractor that you can trust to get the job done right, on time, and on budget, you can trust the professionals at Fairbanks Home Builders!